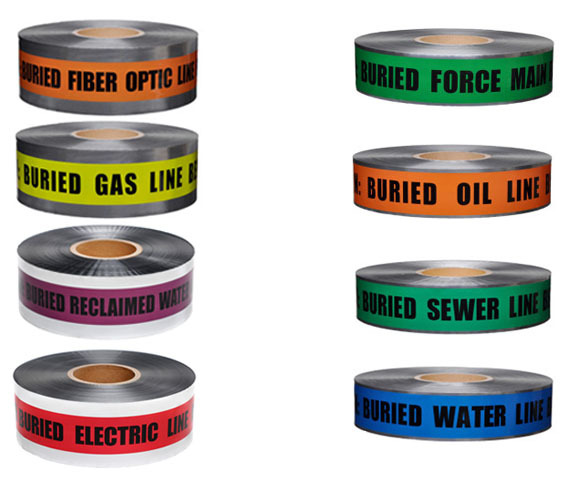 Presco detectable underground warning tape is used for accurately locating and preventing damage to valuable underground utility installations. It has an aluminum backing to make underground assets easy to find using a non-ferrous locator. Properly installed, this tape helps avoid catastrophically inaccurate digging when locating utilities such as electrical lines, gas pipes and communication cables.